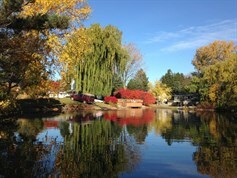 Testimonials - Lake and Pond Solutions, Co.
of each water body when developing a management plan. "YOU ARE OUR HERO!!! The lake is beautiful again! (You should have seen it last year!) I really need to send in a testimonial for your website - on what a fantastic job you did for us!" "Just wanted to thank you for letting me follow you during your plant survey. It's great to see some of the positive results from your work!" "Thank you for your hard work. We had many compliments on the pond the past year and we owe it all to you." "My aerator is awesome! If you ever want to refer anyone to me, I'd be happy to tell them how great this system is!" 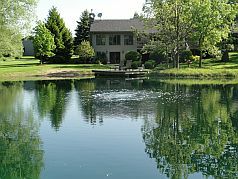 "Our realtor advised us that one reason our property was purchased was because of the pond. We have very much enjoyed working with you. Your efforts provided many hours of great fun and added to our knowledge base related to nature." "I thought that our pond, under some really difficult conditions, looked great and stayed weed free all season"
"In ten years the marina has never looked better and the treatment was a huge success. Thanks for being a successful part of our boating season." "Everyone, and I mean everyone, is just delighted with the weed situation. Our harvesting budget is way under because there is hardly any EWM left. 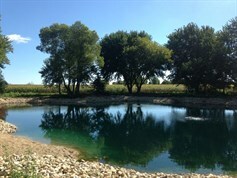 Lake and Pond Solutions is a first class operation. Thanks for your good work." "There are lots of people who sell us stuff, rent us stuff, or perform stuff for us. It is VERY refreshing for a company like Lake and Pond Solutions to do the stuff they say they're going to, WHEN they say they're going to do it, and for THE PRICE they said they'd do the stuff for. You are a good company, have good people, and have much to be proud of." "My pond needs to look great at all times. I am so pleased that you provide complete pond management. Thanks a lot for providing such a great service." "Honesty and knowledge of your job is why I chose Lake and Pond Solutions last year."